provides entering full information about the organization’s employees such as personal data, contact, social information and registering employee document. allows setting employee’s contract details Basic Salary, Bonus / Reduction sheet, transportation and mobile allowances. Also, supports creation and renewal contracts. 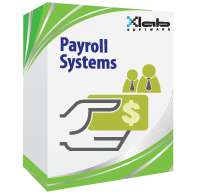 Supports dynamically salary administration, reporting and applying salary rules for all the employees with multi payroll types. allows mangers to evaluate employee performance, to apply bonus and promotions. apply Addition / Deduction that affects payroll tree account. administers and controls the loans and loan installment deducted automatically each month. separate payroll like rewards and profit share. supports flexibility to calculate and update social insurance and taxes according to the government rules.